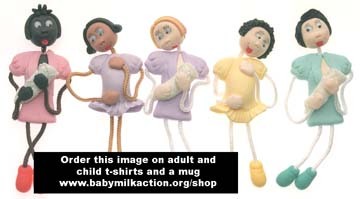 Brighten up your fridge with one of our breastfeeding mothers! Hand made in Brazil. Colours may vary. Height approximately 9 cm. The above image is available on a t-shirt and a mug. UK postage and packing included. £0.75 will be added for delivery outside the UK. NOTE: These items are highly sought after and not always in stock. Current stocks: Brown () - White () - Black () - (if not displayed, you will be informed in the checkout if your order can be met). Brighten up your fridge with one of our pregnant mothers-to-be! Hand made in Brazil. Colours may vary. Height approximately 9 cm. NOTE:These items are highly sought after and not always in stock. Current stocks : Brown () - White () - Black () - (if not displayed, you will be informed in the checkout if your order can be met).